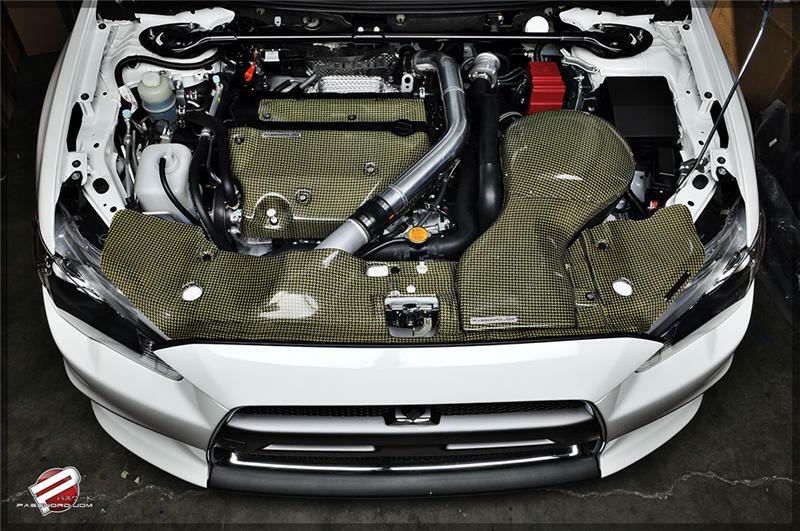 PWCIK-EVX-00K - Password JDM Carbon Kevlar Engine Bay Upgrade Package - Pann Auto Performance - San Diego largest aftermarket automotive performance parts - What do you drive? 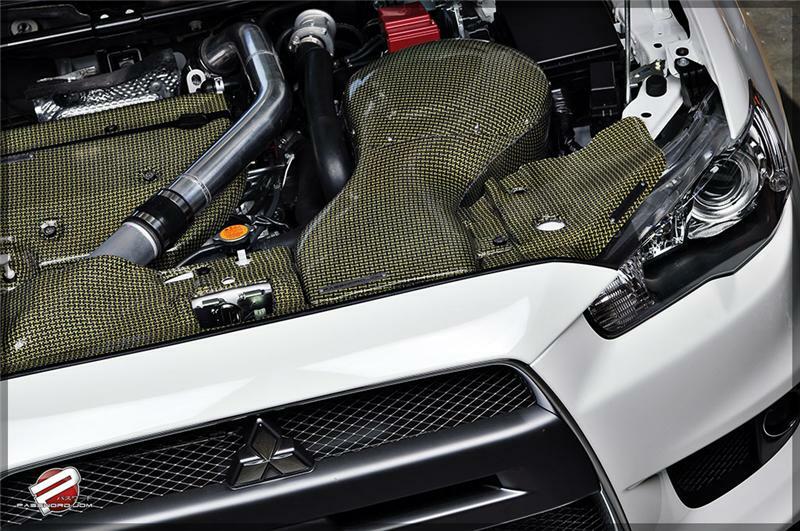 Password:JDM Dry Carbon Kevlar Engine Bay Upgrade Package for the 2008+ Mitsubishi Lancer Evolution X has arrived! 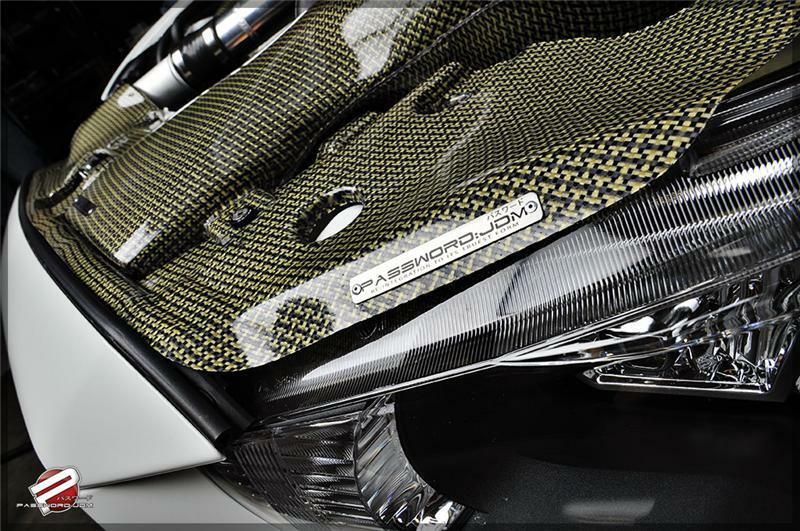 Us fellas here at PasswordJDM rolled up our sleeves and went to work for days and months designing this thing, and now, its just about perfect. 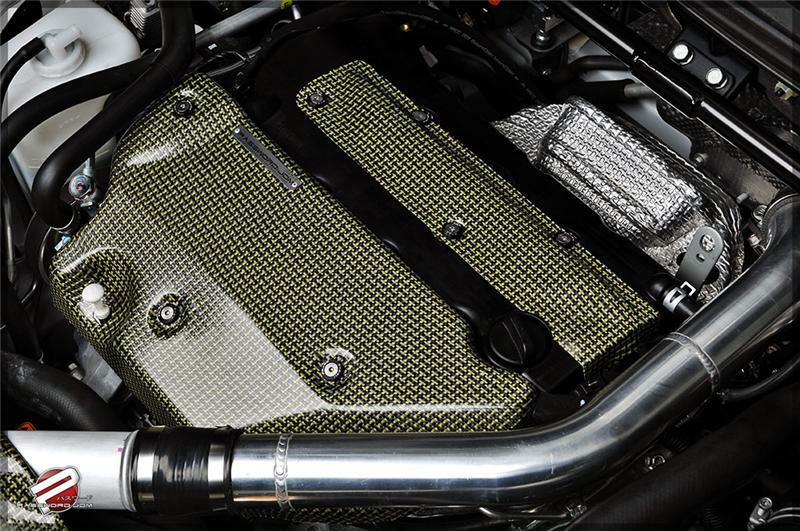 Made entirely of Dry Carbon Kevlar, the PWJDM intake system is a combination of individual components designed to work flawlessly with one another. Designed to ram/force feed colder atmospheric air into your engine at all speeds, the Password:JDM Dry Carbon Kevlar PowerChamber/Engine Bay Dress Up Kit has it all when it comes to what he/she wants from an intake system. 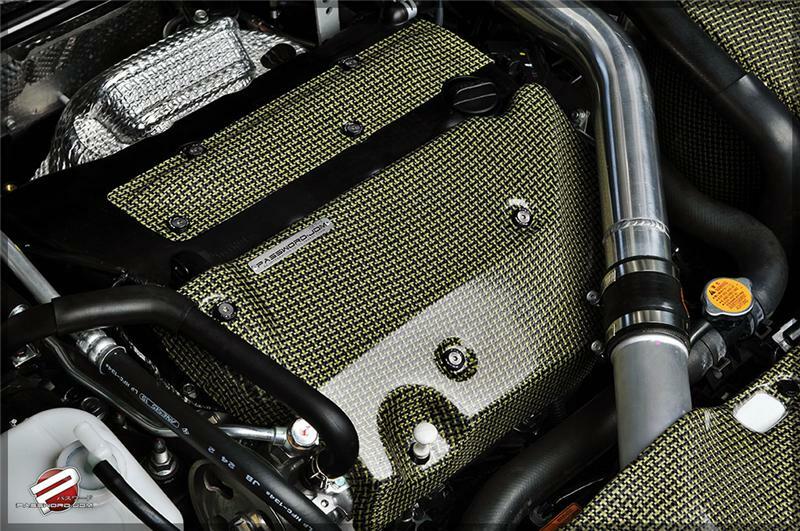 Each one of the PasswordJDM Dry Carbon Kevlar Intake Systems are individually hand crafted here in the states for quality. 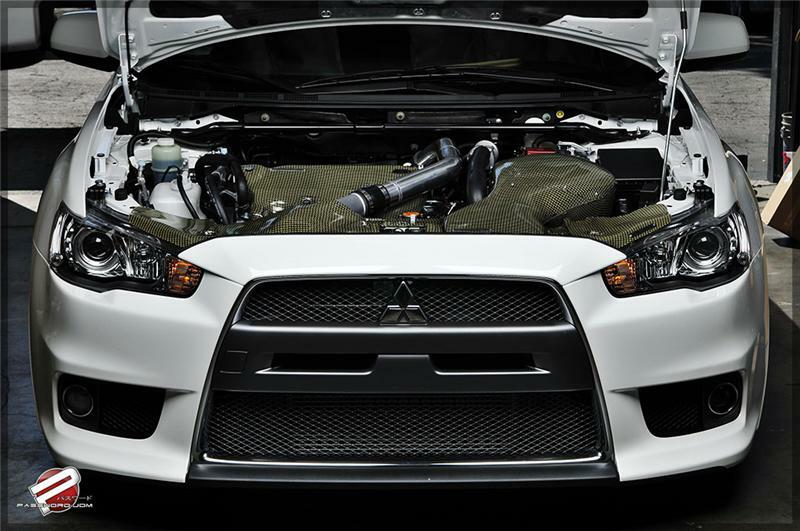 The Password:JDM EVO X Dry Carbon Kevlar PowerChamber/Engine Bay Dress Up Kit, is a direct bolt on installation for a quick, and painless installation. 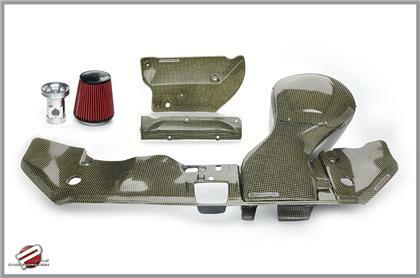 Our Intake system was designed in-house using the same intake design theories used in F1 and ALMS. 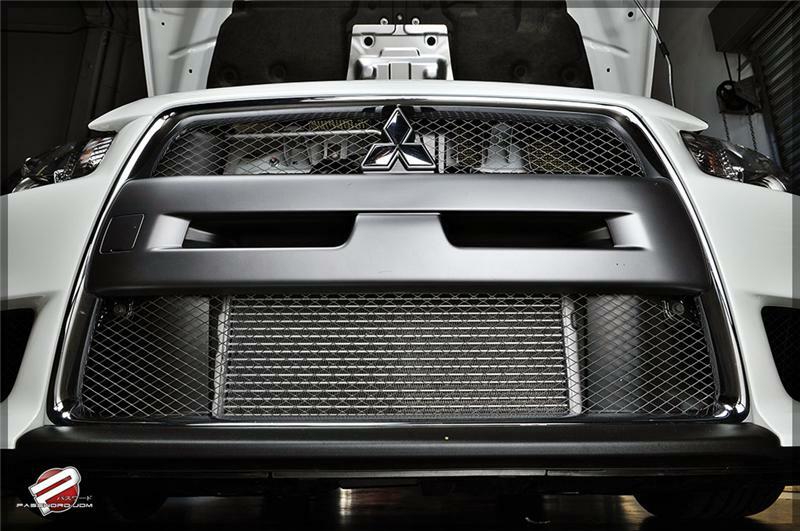 The ratio of the RamAir scoop’s size and inlet tube’s dimension was calculated to be optimal without having to cut up a stock OEM parts for clearance. 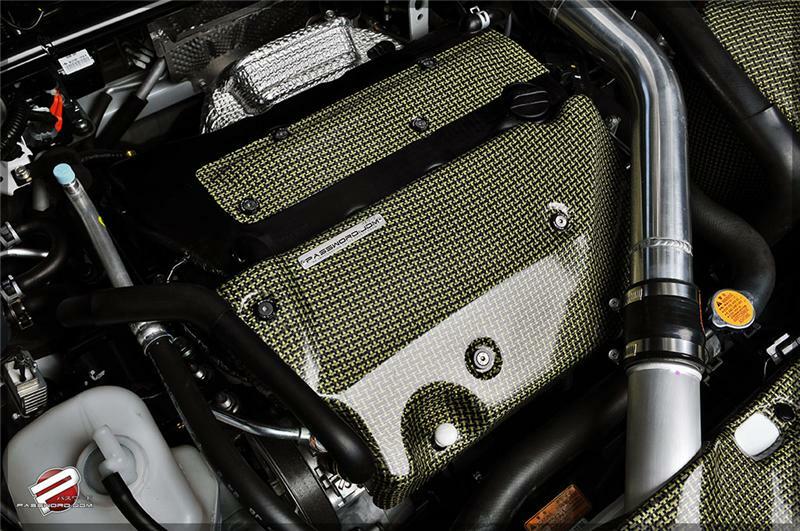 Our Ram Air Intake Box was designed to shield the intake air away from the exhaust heat and other heat sources underneath your hood. 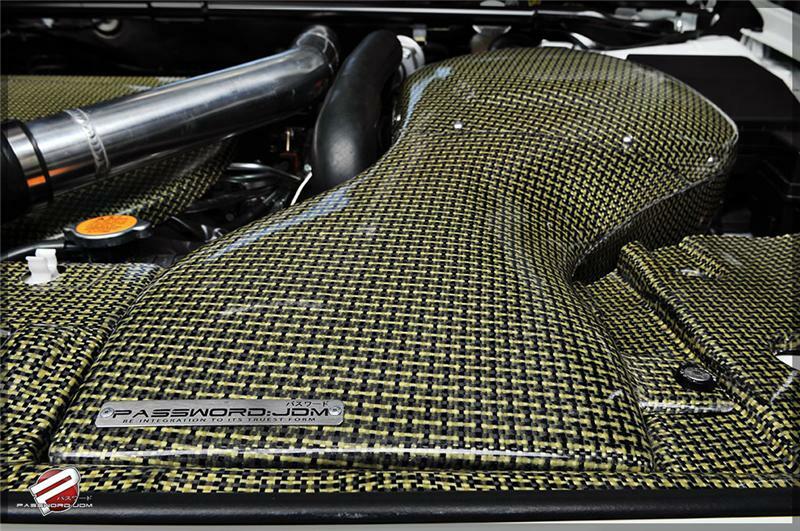 Heat soak is very bad for intakes, and we kept that in mind when we sat down and penciled this one out. 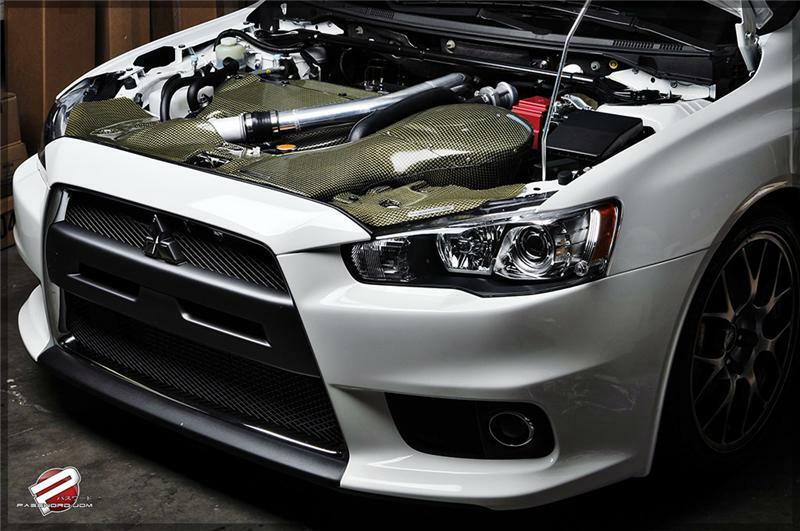 This makes all the difference when it comes to making more or less horsepower. 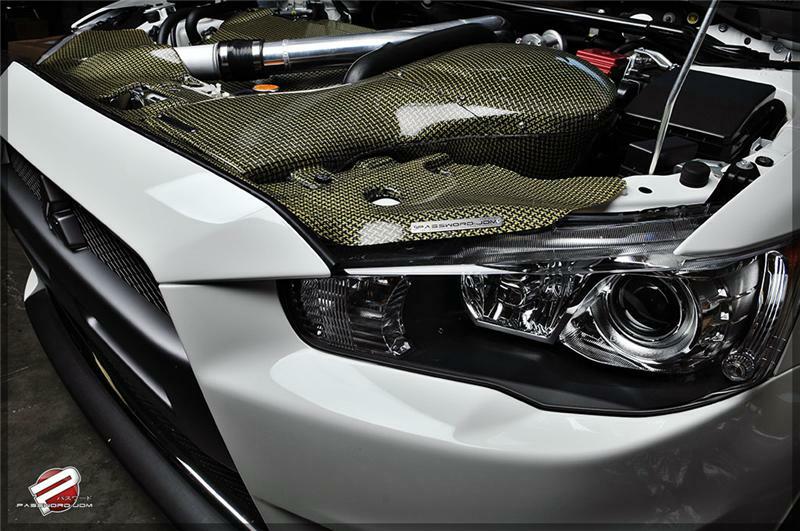 You won’t find a lighter and more impressive intake system on the market for any amount of money.